It looks like an arcade cabinet. 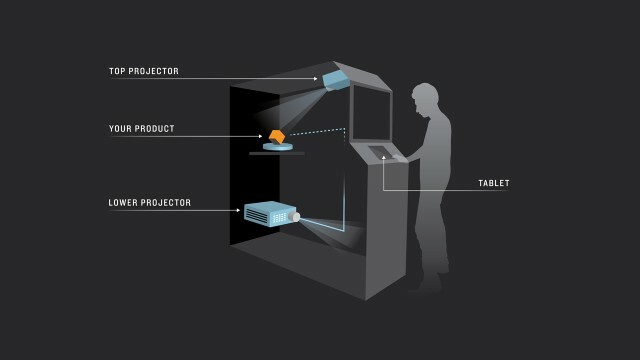 But inside, 16th-century illusion meets 21st-century projection and fabrication techniques to produce a booth that can let users imagine new products. It’s the power to transform special effect into real creation. 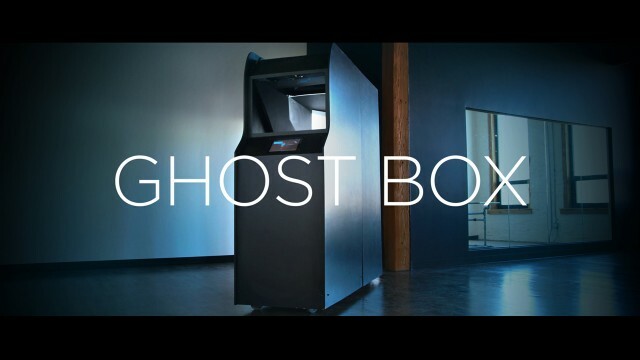 Ghost Box Case Study from Leviathan on Vimeo. I spoke to the team about how the project worked. Roger Darnell filled us in on additional details, and Leviathan President and Executive Producer Chad Hutson answered our questions. CDM: How did the 3D printing figure into the equation? Chad: When we decided to try a more ad-focused approach to the demo, we chose a car as the subject, but didn’t want to use a specific brand. Altering an existing CAD model and then using 3D printing to bring it to life gave us the perfect non-branded car to project on. How did you work with TouchDesigner? 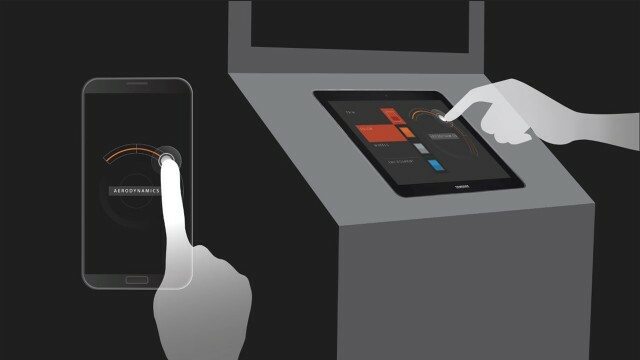 TouchDesigner pulled all aspects of our project together, from the precision projection mapping and audio playback to the tablet PC UI and motorized turntable control. It’s always our go-to software when customization is key. Was there anything we should know about the Pepper’s Ghost implementation in this case? Though it’s difficult to show on camera, the Pepper’s Ghost implementation was particularly exciting for us, as we were able to create multiple planes of depth in our image. Graphics would appear to float both in the foreground and background, as well as spaces in between, all at different intervals. We’d never seen anything like it, which is exactly why we wanted to create it. Hutson also provided some more insights into the project’s development. “With the number of projection mapping projects we’ve produced,” he said, “we’ve always wanted to raise the bar and integrate new features, but clients often don’t feel comfortable with pulling the trigger unless they know for sure it’ll work. So we combined several of these proposed features, engineered how we could test them all on a smaller scale, and then built a prototype as quickly as possible to see the results. The large “arcade style” enclosure was not Leviathan’s first choice, but it fit the bill since they required a unit that was self-contained, portable and controlled the lighting of the projection space. Multiple projectors, reflective surfaces, a product and setting as well as a PC all had to fit inside. The team forged ahead first to resolve the technical challenges, before deciding upon content… which why the first iteration was more of an abstract art installation. “We knew we foremost wanted to demonstrate an interactive Pepper’s Ghost scenario,” Hutson added, “so as long as the content was well designed, anything could work.” Knowing the firm’s client base is interested in such technology, Leviathan’s team eventually realized they needed a more commercial spin, hence the car configurator being built off the original installation within a matter of weeks. Main Tools: Autodesk Maya and Adobe After Effects for content creation, Derivative’s TouchDesigner for content customization and hardware integration. Leviathan is a creative studio that crafts animated content and immersive installations for brands, agencies and entertainers worldwide. Melding skills such as CG, motion graphics, software development and physical design, the studio’s artists and engineers have the unique ability to fascinate audiences with visuals and experiences spanning commercial advertising, live events, film, television and environments. Founded in Chicago in 2010 by partners Matt Daly, Chad Hutson and Jason White, Leviathan has garnered international recognition for its animation, visual effects and experiential work.